With 82,000 people sharing 23km2, Uccle in the south is one of Brussels’ least densely populated municipalities. A chunk of the Bois de la Cambre and Foret des Soignes are within its borders, as are the European School I and various foreign embassies. We asked Bulletin readers to tell us what they like about living here. “I’ve lived in Uccle for five years. It’s pretty and green, with lovely buildings, friendly people, great shops and restaurants,” says Ciara, also from Ireland. “And the staff at the town hall have been super helpful, well organised and accessible.” “Uccle is a peaceful and secure place to live, though rental prices are high,” adds Louis, who moved here from New York City 15 years ago. Uccle has several stations on the S-train network, on the Nivelles-Mechelen, Geraardsbergen-Mechelen and Halle-Mechelen lines. The latter two link Uccle to the EU quarter via Schuman and Merode. It’s also served by trams and buses, as well as pre-metro 3 and 4. 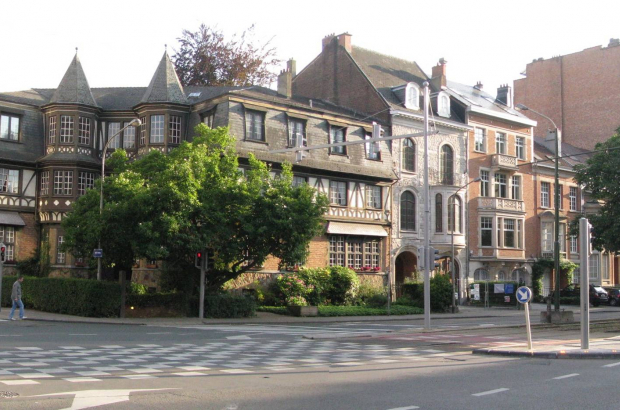 Living here comes with a relatively high price tag, however, with property in Uccle among the most expensive in the city. Two-bedroom apartments are frequently rented for upwards of €1,250 per month, with many costing more than €1,500, according to property website Immoweb. There are numerous four-bedroom houses on the market for around €700,000, with larger villas costing more than €1 million. Smaller houses in busier areas can be found for around €350,000.